Moving to a new city can be one of the most exciting events of your life … the thrill of starting fresh, exploring a new area of the country, meeting new people. But it can also be one of the most stressful events of your life … especially if it’s across country. Leaving family and friends behind, worrying movers may damage your goods, finding the things you need in a strange town, and wondering if you bought the right house. With that in mind, here’s a 13-point plan on how to make that relocation as smooth and stress-free as possible. Moving from a 4 bedroom home in Chicago to Scottsdale using a full-service provider can cost you on average about $10,000. That’s a lot of money. You need to get your finances in order. Will you need a deposit for a new apartment? A few nights in a hotel? A couple months of expenses? Will you need to buy new furniture? Do you have an emergency stash? Is there lag time between your last paycheck at the old job and the first paycheck with the new job? Some companies will hire based on a relocation package. Make sure you ask your company if they provide assistance, because even if they may not pay for it in full, they might give you an allowance. If you are moving from an apartment into a new house, you’ll end up paying through the nose for window treatments alone. If you have another home to sell, will you be able to sell it in the current market? One of the most disastrous positions you could put yourself in is to pay on two mortgages. Unless you are making a small fortune at the new position, paying on two mortgages can bleed your income fast. If your current home hasn’t sold, and you need to move quickly, you may be able to get a “bridge loan” — a short-term loan that can give you cash for a new home. Do you plan on renting your existing home? Who is going to manage the home in your absence? Finally, create a moving budget and start saving for that budget as soon as possible. The more money you have available, the less stressful it will be. These days it natural to start your search online. Drop a few keywords in Google like the name of the city, neighborhoods, schools, crime rate, and so on. During your online search you’ll run into some real estate agents. Give a few a call to see what information they can share. Tell them you are relocating and need help deciding. They can help you with information like location of public transportation, restaurants, level of the market in that area, and so on. When you’ve actually found a home you would like to buy, it’s essential you understand what is and is not mandatory for sellers to disclose. Some states don’t require sellers to disclose material facts to potential buyers. In addition, you’ll want to discover what types of inspections are required and how much the inspections cover. Will buyers get a report on environmental hazards? Who pays for that report? Are pest inspections part of the purchase contract? Is the buyer responsible for the entire cost of the home inspection? What types of repairs are sellers required to share in the cost? Are there specific inspections for that particular neighborhood: Chimney? Plumbing? Sewer or septic? Do you need to order surveys? How are the taxes assessed? Once you narrow down your selection to a particular neighborhood (especially true in large metropolitan cities), choose an agent who is an expert in that area. Look for someone who knows the community, who can suggest outdoor activities, places to eat, local attractions, and essential resources like the grocery store, library, and city government. They’ll also be able to tell you about the differences in that neighborhood, and will probably be able to tell you a lot about the builder (if it is a newer community). Inform them about the move as soon as possible. This might mean as soon as you get a call for your first interview. It’s best to bring up the subject in a way that lets them know that moving might happen. Stress the might. Focus on the good things about the move. You’ll be making more money, you’ll be able to spend more time together, you’ll have the chance to learn how to do new things together, and you’ll meet new people. Take time to listen to their concerns. Don’t get angry or brush off their fears and anxieties. Take time to listen, in a private setting, to what’s on their mind. Without interruption allow them to express their concerns and ask their questions. Keep asking “Anything else?” so you hear everything. Invite them to help in the move. Depending on their age, give them roles and responsibilities involving the move. Allow them to be part of the discussion. Tell them right away if the move isn’t going to happen. If for some reason the re-location falls apart, inform your friends and family as soon as possible, especially children. Don’t let them worry needlessly. They’ll appreciate your quick response. The earlier you tell friends and family, the more time they will have to process your departure. And if someone suggests throwing a going away party, allow them to do so even if you think it will stress you out. That party might be a way for people to deal with your leaving better. What if you hear about people planning multiple parties? Get them together and ask them to pool their efforts to throw one big party. That will lessen the stress on you. In addition, remind friends and family that you can stay in touch better than ever with the Internet. You can Skype or use Google+ Hangouts to talk face-to-face every day. Text messages are a great way to stay in contact on a daily basis. Cheap airfare is even available in some areas for quick weekend flights. You may even want to schedule a weekly call with a close relative or friend to help you deal with the anxiety of moving to a new area, especially if you are feeling lonely. That scheduled chat at 6 PM on Friday with your dad might be just the thing you need to help you get through the week. Unfortunately, moving companies don’t have the best reputation. You no doubt have heard stories about movers carelessly packing fragile items, dropping antique dressers in the driveway, and driving like maniacs with all your items in the trailer violently shifting. For the most part these stories are overblown or rare, but there is some truth. This is why it pays to research companies and know what you are getting into. If you plan to have someone else move you, then you should understand the difference between each type of company: full service, van lines, van line agents, independent movers, and brokers. Local presence — Is the carrier you are considering using local? A carrier without a local presence isn’t necessarily bad, but it’s difficult to get a feel for a company’s reputation if it operates across the country. State license — Is the company legally able to do business in your state? A national carrier may not be licensed in every state. Better Business Bureau — Take a look at the company’s BBB record. Do they have a history of unresolved complaints? Do they have a lot of resolved complaints? While resolved complaints demonstrate that the company satisfied the customer’s concern, too many should raise a red flag. Insurance — Is the carrier insured? What sort of protection do they offer? What do they cover? In addition, you’ll want to discover the pricing difference between local and long-distance, cross-country moves. And don’t forget to talk to your insurance agent about insurance, get high-valued items appraised, and ask if you should purchase additional coverage. Schedule at least three in-home estimates with movers about two months before the move. This is when a company will come to your home to evaluate what it will take to move your belongings, how long it will take, and how much they will charge. A good company will closely scrutinize every item, taking in consideration the value of antiques, collectibles, and rare items. How long has your company been doing business? How will you handle special items, antiques, and collectibles? What is your process when creating estimates? What do you look for? Do you strictly look at the number of items to be moved? Do you pack, load, ship, unload, and unpack? Or just load, ship, and unload? How do you price out special items like pianos? Or navigating difficult terrain in the home like stairs or tight corners? Will you tell me what you are responsible for when it comes to damaged goods? Who is responsible for moving your vehicles? Once you receive the estimates, ask further questions … especially if one estimate seems abnormally higher than the others. Find out exactly what you are paying for, and make sure the company understands everything that you plan on shipping. Ask for an itemized list so there are no surprise costs when it comes moving day. There is a reason most people hate moving … and packing is the least of the problems. There are so many details to cover you might want to consider hiring a project manager. Contact all service providers — this includes all your utility (water, sewer, electric) companies, satellite TV, and landline operators. Notify these companies of your last day in the house. If possible schedule shut off two or three days before you are actually gone so you can check to make sure all necessary utilities were shut off and you don’t have any unexpected fees down the road because someone forgot to flip a switch on their end. Make sure all of these service providers have proper contact information for you, including your new address. Collect moving-related expenses in a folder — You’ll need this information for next year’s tax return since some expenses are tax deductible. Contact the Department of Motor Vehicles for the new state that you are moving to and find out what you need to do for a new driver’s license and to register your cars in the new state. Find out how much time you have to accomplish these tasks. Collect all your valuable documents in a safe box — This includes your financial statements, passports, deeds, social security cards, birth certificates, and will. Contact your old and new schools — If you have school-aged children, contact both their current school and their new school to ask for a transfer of records. Open a new bank account — Keep your old bank account open until you move and can ensure that your new bank can handle all of your financial needs. Moving is a great time to thin out those items that you’ve accumulated over the years — and never used. Sort through the attic, basement storage, and don’t forget your stuff in the offsite storage unit. Take inventory of all the items in your garage and detached sheds. Eliminate won’t you don’t need. This will be difficult because you will more than likely be attached to certain items and find it hard to give them away. If you haven’t used an item since you moved last time, it’s a perfect candidate for the garage sale pile. Don’t drag along clutter items like unread books and unfinished projects (paint, wood). In addition, if you are combining two different households, decide which appliances and cookware you are going to keep, and get rid of the others. It might be easier to give away large items like an expensive couch to trusted family or friends. For other items you don’t sell at a garage sale, consider donating them to local shelters or organizations like Goodwill. Remember, the more you get rid of, the less you will have to pay a mover to ship. When packing, create a box of items that are essential (and won’t be lost). These are items you will need right away when you arrive at your new house. Identification – Including driver’s license, medical insurance cards, auto insurance cards. Finances – Including cash, checkbook, and debit card. Refreshments and snacks – Including bottled water, fresh fruit, and convenient but healthy snacks. Hygiene – Including deodorant, toothbrush, toothpaste, towels, and soap. Medicine – Including prescription medications, ibuprofen, and aspirin. Meal Essentials – Including Paper cups, paper plates, napkins, salt, pepper, ketchup, mustard packets, and plastic utensils. Moving Supplies – Including extra clear tape, black markers to label boxes, scissors, and packing material. Important Papers – Documents pertaining to the house, medical files, and keys. Pet Supplies – Including pet food and meds, litter, and kennels. Just because you’ve hired professional movers doesn’t mean you can’t supervise the move. Insist on being part of the process so that you not only limit the chaos, but you are also aware of how and where they are storing your stuff on the truck. Before you sign the Bill of Lading, read it carefully, and don’t be afraid to correct it if you find mistakes. Only sign it when you feel comfortable signing it. If you feel pressured by the movers, then avoid signing it. When in doubt ask to talk to headquarters. Carefully read over the inventory list, too, and don’t sign it until you are comfortable that what’s on that list is actually in the truck. Store your copy of the list in your moving folder. Give the movers a list of important contact information like phone numbers and exact moving address in exchange for their contact information, which you should keep in your moving folder. 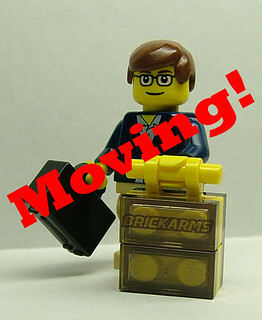 And don’t forget to provide the movers with water and snacks during the move — even if you are using professional movers. They’ll appreciate the extra gesture and probably make the move easier. Check the house before you leave. Look in every closet. Inspect the attic and the garage. Snoop through the crawl space and backyard shed. Open medicine cabinets and pantry doors. Empty the drawers of any furniture you are leaving behind for the new owners (keep in mind that if you leave anything behind it must be with the approval of the new home owners). Inspect the walls for any damage that might have happened during the move. Look behind doors for holes in the wall, dings in the wood floor, or stains on the rug. New damage could reflect on the amount of deposit you get back, or cause some tension with the new homeowners. Record the meter readings so when you get the last bill you can verify the charges reflect what you have — and you don’t get charged for use that wasn’t yours. Keep money for tips ($10 to $20 per mover) and tolls you might encounter on your way to your new home. Do some research to learn which roads will have tolls, whether they can affordably be avoided, how much they are, and whether the movers are responsible for them or not. Arrive at your new home and unload the truck. Some movers will charge per hour, so if you don’t arrive at your new house before the movers, and they have to wait, then you may be charged for that idle time. Walk through with your real estate agent — inspect the home to see whether it matches your expectations. Identify issues and challenges. Label each room in the house to help the movers find the right places to drop off boxes. In fact, you could roll out a map of the home and do a huddle with the movers before they start unloading so they know where items go. Never put boxes in the basement. Take the time to identify what is in the box and then get it to the right room, otherwise you may never get around to seeing what is in the box. Investigate your belongings for damage — As you come across items that have been broken and damaged, collect these items in a box. Make a list of these items and cross-reference them with your inventory list. Find out what items were lost — Use the inventory list to make sure that all your items made it safely. Make a list of items that you cannot find. These items may be found once you go through all the boxes (check them off when you do find them), but for lost items you will have to report back to the moving company. Read through the Bill of Lading again — It’s good to look at this agreement again to understand who is responsible for what before you take any action on the lost or damaged items. Don’t sign the inventory sheet until you’ve found all of your items — Once you sign that sheet, the movers are off the hook for any damaged or lost items. Even if this means that the movers leave without signing the list, that’s okay. File claims quickly — Often you have a few months to file a claims against the mover for damaged or lost items, but the sooner you can get this done, the better your chances for compensation. With moving day behind you and most of your boxes unpacked, the next step in a stress-free move is to work on making your new house a home. Focus on one room at a time — While you might be tempted to systematically work through all the rooms starting with the den in the front, the first room you should unpack is the kitchen. This is the room where you will eat all of your meals and will spend most of your time as a family. Decorate quickly and cheaply — You can turn a house into a home by investing in a few inexpensive pieces of furniture or knick knacks. Look for distinctive styles at places like World Market, Weekends Only, Value City, Target, and Pier One Imports. You can also peek inside expensive stores to find closeout deals. Create a special room — Outside of the kitchen, which room will you spend the most time in? Will it be the living room? Master bath? An office? It’s best to work through the list of unpacking rooms based upon importance of each room. And fully unpack each room before moving on to another room … clutter and half-empty boxes only add stress to your life. Don’t forget to register to vote. You can usually find out how to do this when you go to get a new drivers license and register your car. Fortunately you can find out how and where to vote online, and even visit the state’s DVM online if you don’t want to wait in lines. Once you’ve got your computer up and running, send emails out notifying of your safe arrival and move in. Use social networking sites like Facebook or Google+ to share photos and experiences. It’s also a good idea to meet new people. You can do this by visiting local coffee shops, book stores, churches, or mosques, or by joining organizations like the Rotary Club, a gym, or recreational sports teams. Also, don’t forget to ask around about events and festivals. Everybody you meet is a likely candidate for information — your postman, the clerk at the DMV station, an employee at city hall.